Nine has scheduled some late night (early morning?) 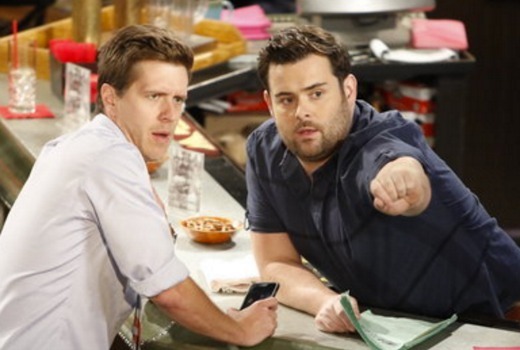 episodes of US comedy Undateable, which centres around mismatched roommates Danny Burton (Chris D’Elia, “Whitney”) and Justin Kearney (Brent Morin) and their group of oddball friends. The series from Bill Lawrence (Scrubs, Spin City, Cougar Town) and Adam Sztykiel received mixed reviews when it premiered in May 2014. But a third season began in October consisting of all-Live episodes, with both east and west coast editions going to air Live. Nine screens two eps from 12am Monday December 14th (Sunday night). At 1am it premieres VIP, an action comedy featuring Pamela Anderson. I’m looking forward to Undateable. I know that it won’t be on air for long. So I can preview the first two episodes to see if I like it.